A lot of people regret missing on the Bitcoin craze. But these same people are also now on the hunt for the next Bitcoin – or something close. The common strategy is to buy coins while they are still cheap and reap the profits in the future. But which coin should you buy? What are the best cryptocurrencies to invest in at this point in time? The usefulness of the cryptocurrency. Some cryptocurrencies exist just so. But there are also a lot of emerging cryptocurrencies that solve specific problems. This is often done by identifying the weaknesses of an industry and creating a unique solution through blockchain. The size of the crypto market. The problem that the cryptocurrency aims to solve should be specific yet not specific enough that only a handful will take interest in the project. There’s also the issue of demographics. Are the people that this cryptocurrency is marketing to already in the cryptocurrency bandwagon? If not, are they willing to hop in? The steady growth of the cryptocurrency. There had been a lot of ICOs launched in the past year. A couple of them are already doing well and hitting their own goals but older ones are still to gain traction. The pricing of the cryptocurrency. Is the price range right for the value that it promises to give? The cryptocurrency still has a lot of room to grow. 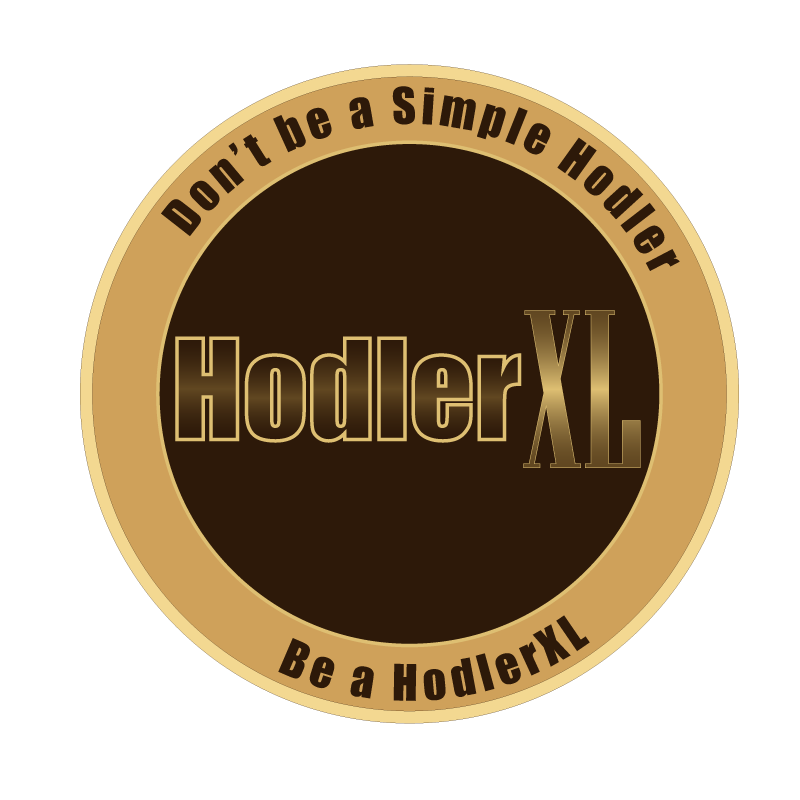 Cryptocurrencies with over a billion in crypto market cap are already big enough for you to enjoy more profits in its growth. But where to look for cryptocurrencies that match the criteria? That’s where Kucoin comes in the picture. Kucoin is growing – fast. In the past months, Kucoin saw an upwards of 48 million visitors. One of the driving forces in Kucoin’s growth is its listing of emerging cryptocurrencies with unique value propositions. 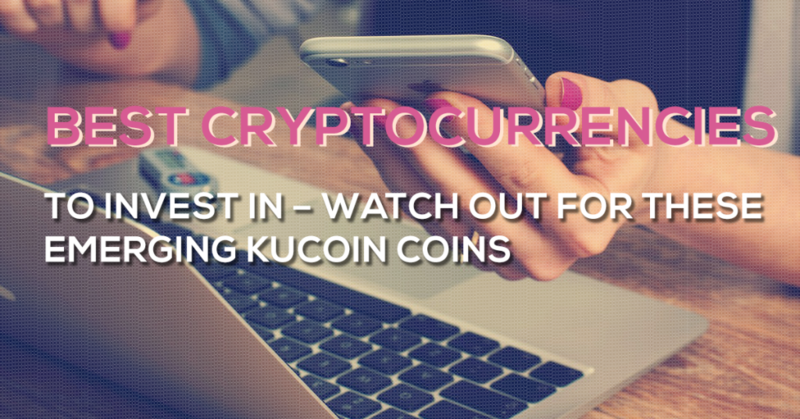 There are over 50 major cryptocurrencies listed in Kucoin but the exchange platform is known for being the first to list cryptocurrencies that some may consider “obscure.” A lot of these cryptocurrencies are low market cap altcoins that are no older than a year. What’s also amazing is that a lot of these cryptocurrencies are performing really well in Kucoin. Kucoin itself is a newcomer but it is growing together with the cryptocurrencies that are being exchanged in its platform. This makes Kucoin one of the best places to look for the best cryptocurrencies to invest in – it’s where rapid growth is happening. Dragonchain was supposed to be the “Disney Private Blockchain Platform” before it was taken over by the non-profit Dragonchain Foundation. It was an open source project. Dragonchain is a business ecosystem, crowd scaled incubator, cryptocurrency marketplace, and a blockchain platform. It is designed to make the integration of business applications to blockchain easier. The platform is secure and scalable with data and smart contracts protection. Token sale for the Dragons launched in October 2017. The funding goal wasn’t met but Dragonchain decided to go on with the project. Dragon tokens can be used by users to have early access and discounts on the Dragonchain Crowd Scaled Incubator. This is accomplished through the Dragon Slumber Score (DSS). The formula for the slumber score is total Dragon toke balance multiplied by the number of days users hold the tokens. The score determines the discounts, purchase limits, and exclusive participation timeframe in partner ICOs. The Dragons need to be stored in a private wallet in order for users for their DSS to be counted. Revain (R) is an ERC-20 token based on the Ethereum blockchain. R is performing really well in Kucoin. Before Revain cryptocurrency was listed in OKEx, its highest total trading volume was from Kucoin. It still performs well in Kucoin with 10-15 percent of Kucoin’s overall daily trading volume coming to Revain. Right now, Revain is gaining in popularity as it is being listed by more cryptocurrency exchanges. Currently, there are about 13 cryptocurrency exchange platforms where R can be bought, sold, and traded. What makes Revain one of the best cryptocurrencies to invest in is that there is a strong platform behind it. The Revain platform is the first-ever review platform that is built with the blockchain. It is considered unbiased and revolutionary. The platform focuses on reviews relating to cryptocurrency exchanges, e-commerce, FMCGs, and ICOs. The Revain platform doesn’t use the R token for its transactions, though. They have another token, the RVN that is used to reward or penalize reviewers based on the quality of their reviews. The RVN tokens can then be traded for R tokens in exchanges. The Dent Wireless aims to tokenize the mobile data industry by creating a global cryptocurrency marketplace for buying and selling mobile data. The company develops mobile apps and cryptocurrency marketplaces that facilitate the buying or selling of mobile data either directly from telco companies or users that sell their unused mobile data. The DENT tokens serve as a universal decentralized currency for these mobile data transactions. Currently, DENT is connected to telcos in the USA, India, Brazil, Mexico, and Hong Kong. Aside from the tokenizing the industry, Dent Wireless also aims to disrupt the current telco business model, benefitting not only users but also telcos. The telcos can profit from the repeat sales of unused data allowances while users can directly influence how telcos price mobile data. The DENT token will power this platform. Dent Wireless aims to make the DENT marketplace and in turn, the DENT token the dominant force in the mobile data industry, making it one of the best cryptocurrencies to invest in for its utility potential. Polymath is a securities token platform. It facilitates the bulk transfer of financial securities to the blockchain platform. Polymath guides and assists institutions in the creation, issuance, fundraising, and launching of tokenized financial services. Polymath predicts that securities tokens would be the next mega-trend in the cryptocurrency industry. Securities tokens lets holders to take ownership of their digital assets and become investors instead of just purchasers. Offerings are also regulated through KYC user verification. The POLY token is used for all internal transactions in the Polymath platform. Issuers pay fees in POLY in order to create and issue securities tokens. Investors also need to pay transaction fees for the KYC/AML verification and other transactions like buying, selling or trading securities tokens. Qlink offers decentralized mobile network services like WiFi sharing, mobile data repackaging (for content distribution), E2p SMS service, and WiFi sharing hubs. The mobile networks are divided into two blockchain parts: infrastructure and service. The infrastructure data is stored on the NEO blockchain while the service data is stored on the Qlink Chain network. Qlink’s QLC tokens are based on NEO’s NEP-5 token standard protocol. It is used for transactions within the Qlink network. These transactions include payment for network services, content registration, and as incentives for users who view sponsored content. Aside from cryptocurrency exchanges like Kucoin, QLC tokens can also buy from the Qlink BaseStation. The station has BaseState that has ETH mining capabilities. Qlink is fundamentally similar to DENT, but what makes it one of the best cryptocurrencies to invest in is its well-structured infrastructure and range of services that are available on the platform. Cappasity the first ever blockchain platform that facilitates in the creating, renting, and selling of 3D content for the AR/VR ecosystem. Cappasity has a decentralized billing system that can handle bulk microtransactions and secured with smart contracts. The Cappasity token (CAPP) is used to pay a subscription, 3D content purchases, and rentals within the Cappacity platform. Users also need CAPP to upload 3D content, verification, and moderation of content, and sell or rent content. The AR/VR ecosystem is expanding with a considerably large market. This makes CAPP a part of the list of the best cryptocurrencies to invest in. The Odyssey blockchain service whose main mission is to establish a state-of-the-art decentralized Peer to Peer Ecosystem and sharing economy. The Odyssey Foundation is a non-profit organization based in Singapore. The foundation’s activities, including their participation in the cryptocurrency market, is not for commercial purposes. All profit they receive will belong to the foundation for its operation and organizational needs. The OCN token is designed to facilitate the success of products and service providers in the global sharing economy and peer to peer ecosystem. The OCN is expected to aid in the overall reduction of operation cost, an increase of market efficiency and an increase of profits. The OCN token was listed on Kucoin in January this year. A half of the tokens have a lock-in period that ends on April 22, 2018. Covesting is a copy-trading platform that offers a complete infrastructure for both cryptocurrency investors and traders. It is considered as a revolutionary peer to peer (P2P) digital asset management platform. The COV token is used for the Covesting platform’s transactions. Users need to boy COV tokens to subscribe to any of the 20 trading models available. The 2 percent deposit fee and 10 percent profit commission collected from users are deposited to a “Covesting Asset” contract. There’s security with COV and its very premise is rooted in the industry. As long as there is cryptocurrency, Covesting would be relevant, making it one of the best cryptocurrencies to invest in. Experty wants to solve a specific problem in the telecommunications niche. Experty provides a platform for qualified experts and professionals so that they can instantly accept international calls from clients that need their expertise. The call rates are charged per minute as the calls are progressing. Refunds are obtained through the smart contract. The Experty token (EXY) is the native currency used in the Experty platform. The tokens were sold out on presale during the initial token generation phase. EXY tokens are used feeless payments between experts and clients, service fees, and for premium Experty features access. IHT is a newly-listed coin with a promising start. It is a blockchain cloud platform for real estate. The platform integrates real estate markets around the world. The large real estate can be divided and distributed to financial institutions through IHT’s smart contract. Investors can put in small amounts into low-risk real estate investments. The IHT token sale only opened for one day on February 1. All purchases of ownership and profits are conducted with fiat currency. IHT tokens are only used to initialize ATO (Asset Tokenize Offering) and to pay for service fees. This is obviously not an exhaustive list. There are still cryptocurrencies out there that are yet to be launched and created. Also, some the best cryptocurrencies to invest in did not gain traction overnight. There were early favorites that got dumped and unpopular coins that become unlikely winners. The coins are this list is expected to experience steady (even rapid for some) growth in the next few months. But as with cryptocurrencies, there’s always risk involved. These coins may have a lot of potentials but it’s always wise to exercise caution.